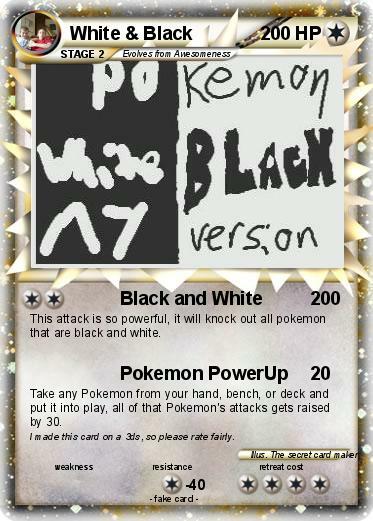 This attack is so powerful, it will knock out all pokemon that are black and white. Take any Pokemon from your hand, bench, or deck and put it into play, all of that Pokemon's attacks gets raised by 30. Comments : I made this card on a 3ds, so please rate fairly.